Camille has been a Realtor® with Michael Saunders & Company for half a decade and is grateful she gets to wake up every day and practice what she loves. A resident of Lido Key and specializing in Sarasota and the region’s beautiful barrier islands, Camille enjoys connecting customers with the lifestyle they are looking for. She brings a knowledgeable, boots-on-the-ground approach to real estate and is well-ve... more.rsed in local current events, issues that have an impact on property values, and investment potential. Prior to real estate, Camille brought her drive, tenacity, and dedication to the entrepreneurial scene. 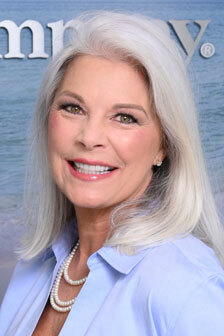 She served as owner and operator of Partners in Group Travel as well as Downtown Divas Women’s Clothing Boutique. This managerial background and understanding of the marketplace prepared her with the skills necessary to ensure the satisfaction of home buyers and sellers when she entered the real estate industry in 2013. Originally from Kansas City, MO, Camille lived in Tampa for 25 years before relocating to Lido Key. She believes being an active member of the community is an extension of being a good Realtor® and volunteers for the Food Bank, Suncoast Children’s Charities, and neighborhood associations. In her spare time, she’s a member of the Sarasota Photography Club, enjoys boating with the Freedom Boat Club, and loves to cook. Camille has two daughters, a lawyer and a teacher/mother, who both live in nearby Tampa.